To my surprise, my email was responded very quickly by Aloke Barua, Sales Manager Distribution Ireland and UK who understood my “tech anxiety”. 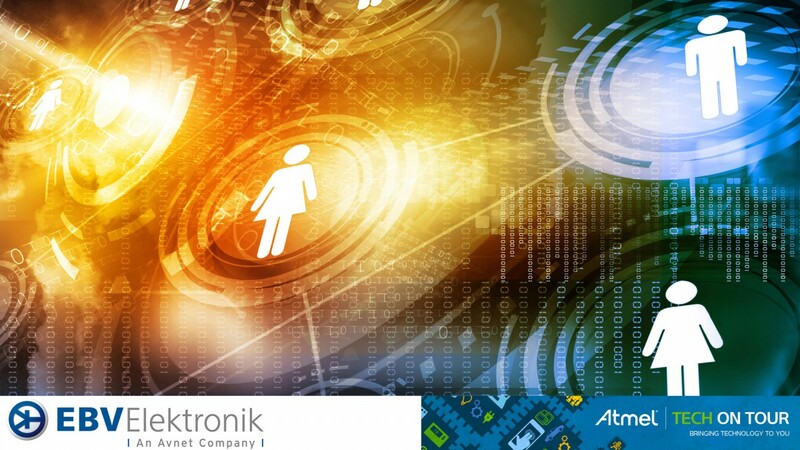 Aloke reassured me that while it would be useful to have a tech background, not to worry, there would be experts on hand to help and guide the participants on understanding and using Atmel’s technology. With that reassurance, I signed up to the course and paid the $49US (£32) fee. This fee was an absolute steal considering it was a full day course, training material provided and each participant receiving the SAMD21 and WINC1500 Xplained boards worth $99 (£65) to take home. A delicious lunch was also included. With excitement and trepidation, I went to the course and was welcomed by the team from EBV Elektronik who hosted this event with Atmel. I also met Aloke who was there throughout the day. We started off with an introduction to the Atmel boards and started coding. Cue tech anxiety attack. Sitting next to me was a software engineer who helped me through the process, which was already in the training material. Anxiety attack subsided and because there were only 20 participants in the course, the trainer was able to help anyone who had issues, challenges and questions (which was me alot of the time!). Sorry guys! 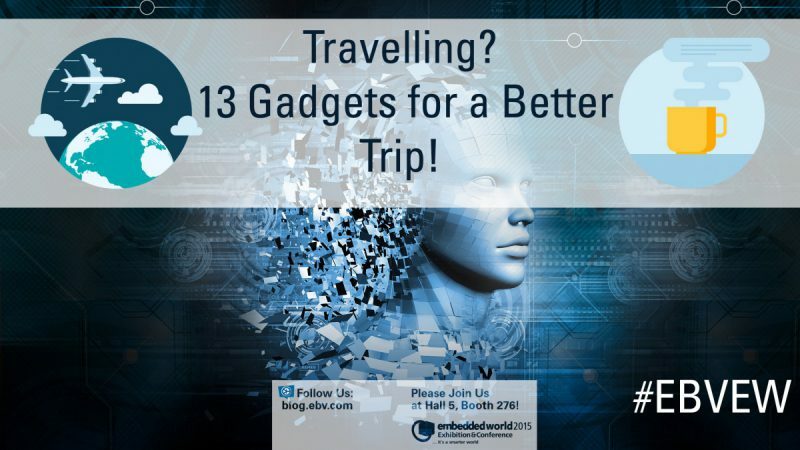 We were introduced to Atmel’s Wi-Fi technology and connected the SAMD21 Xplained Pro via the WINC1500 Wi-Fi module to a local Access Point. The goal was to send temperature information to any phone or tablet on the network. 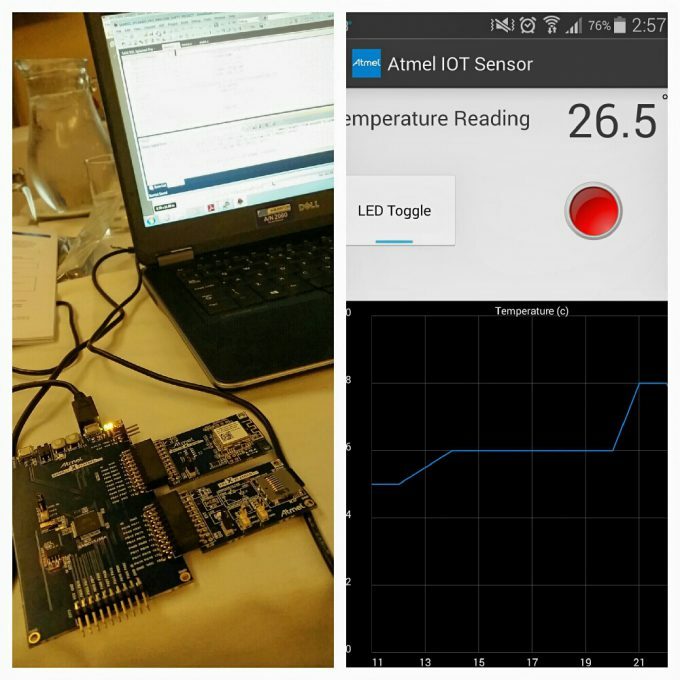 We also learnt how Atmel’s Crypto technology could be used to authenticate the temperature sensor node and understood the different ways Atmel encrypts sensitive information to ensure that it cannot be hacked. In plain english, we learnt how to establish Wi-Fi connection, read the temperature via temperature sensors from the Atmel board and connect and control it on our Android phones. Security is a huge issue in the Internet of Things so we also learnt how to encrypt the information. Over the course of the day, we chatted to each other and I wanted to know why people went on this course. 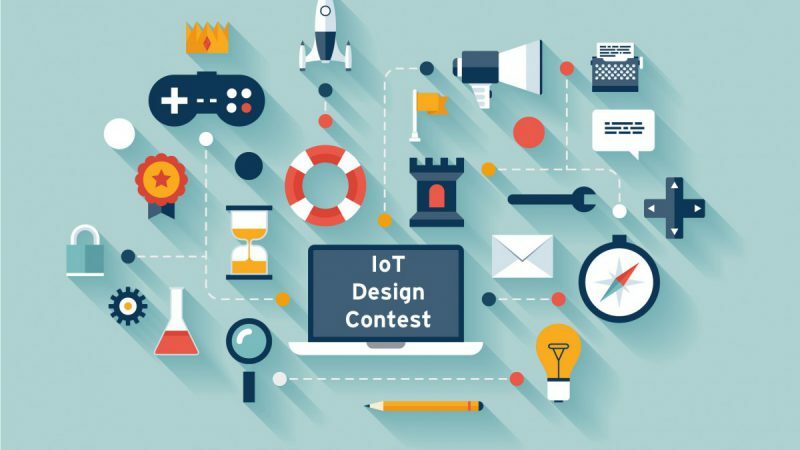 I spoke to software engineers, university students and technical managers who were all interested in the IOT, Atmel’s technology and issues facing the IoT industry. 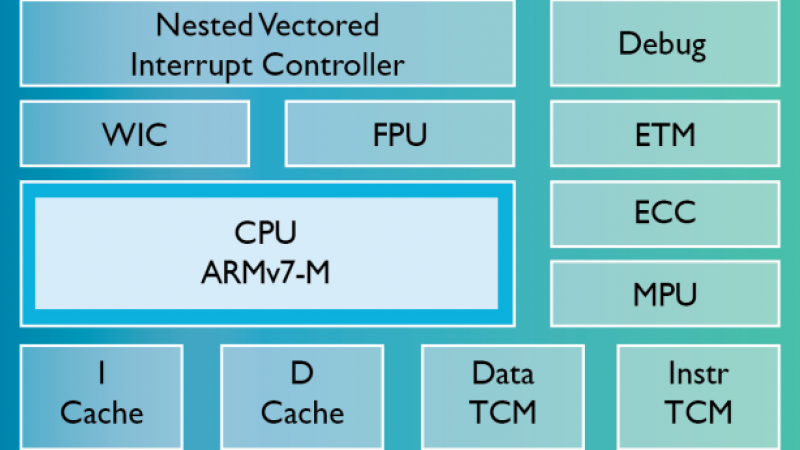 My main reason was to understand Atmel’s technology and with my product heavily dependent on temperature sensors and connectivity, it was exactly what I needed to learn. My tech anxiety almost stopped me from signing up and I am so pleased I went on the course. One very minor notation. The female to male ratio was 1:20. Being a woman in tech, I expect this when I walk into a tech event. My gender doesn’t stop me from doing what I want to do; it’s more my own tech anxieties that almost stops me. It was a man who encouraged me to go, see, do, learn and play. Thank you Aloke from Atmel for your email. I also want to thank all the kind participants who helped me throughout the day and EBV Elektronik who was also on hand to answer any questions. I managed to successfully get my app working so high five! 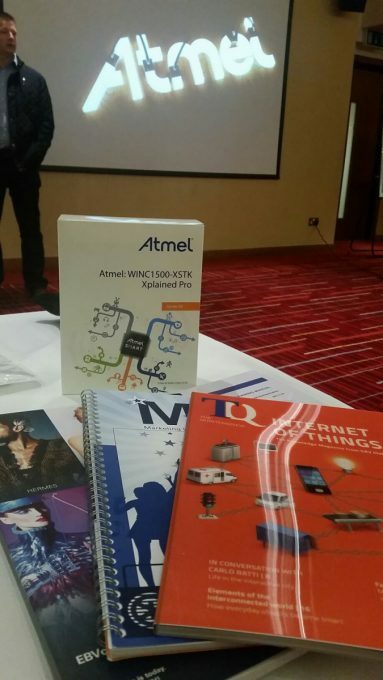 Even if one is not interested in the temperature sensors, learning the concepts, using Atmel’s technology and more importantly, meeting such interesting people on the course made it all the more enjoyable. 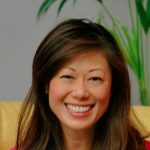 This article was written by Michelle Hua, Founder & Director of Made with Glove Ltd, a UK wearable tech company designing fashionable heated gloves for women. Follow Michelle on Twitter @MadewithGlove.